I check google and twitter analytics at least once a week, although I don't track them just yet (but I hope to change this with my diary that is coming in the post!). For google analytics I like to see where my views are coming from if there's any organic searches resulting in people landing on my blog and what posts are the most popular. For Twitter analytics I like to track how many followers I've gained and set myself targets for the coming month. I hate this job, but it's something that needs to be done. When they're broken links on your blog, it's bad for SEO. Broken links can come about from people leaving their blog links on your blog, but the blog has now been deleted or yourself linking to items on a website (say in a wish list post) and the items your are linked to are no longer available. I've only recently started doing this and when I first checked how many broken links I had, it was revealed I had over 100! That's not a fun way to spend a Sunday. Now every other week, I go on brokenlinkcheck.com to see how many broken links I have. There's sometimes one or two and it only takes me 5 minutes. It's not the best job to do, but it's something that needs to be done, therefore when you're not feeling creative it's a good idea to delete all the broken links off your blog. Again, when I don't feel like writing a new blog post I sometimes like to have a play around with my theme or add new bits to my blog. I like to do this quite regularly to freshen up my blog a bit. I just buy really simple blog themes off Etsy, I think the one I have currently was only £5! I love the simplicity of it and that I can change it and make it more of want I want it to be. I also like to change the header around. As the blogger site does not have that many fonts that I'd want for my header, I just head over to dafont.com. There's thousands of fonts on there and I could spend hours and hours scrolling through the website looking for the perfect one. When I'm playing around with my theme, I see what add ons I can add to make my blog more user friendly, or take some off that aren't really needed and are cluttering my sidebar. You could also rewrite your About Me or Disclaimer page to make sure that everything is up to date. When you're not feeling creative, why not catch up on your favourite blogs! I can spend hours and hours on a Sunday going through my Bloglovin feed and even the #bbloggers hashtag on twitter finding new blogs to fall in love with and comment on! Commenting is great for SEO, but it's even better to show a blogger that you've genuinely enjoyed their post! We all know that blog commenting is on the decrease, so share the love! Set yourself a target of commenting on a certain amount of blogs a week or daily. I don't have a lot of time for blog commenting in the week, but I try and comment on at least 20 blogs at the weekend and 3 daily in the week. Here's just a few things that you can do to improve your blog when you're not feeling creative. Blogger's block can hit us all, but even through this time I like to make sure I'm still improving my blog on a daily basis or reading other blogs. It keeps you motivated! 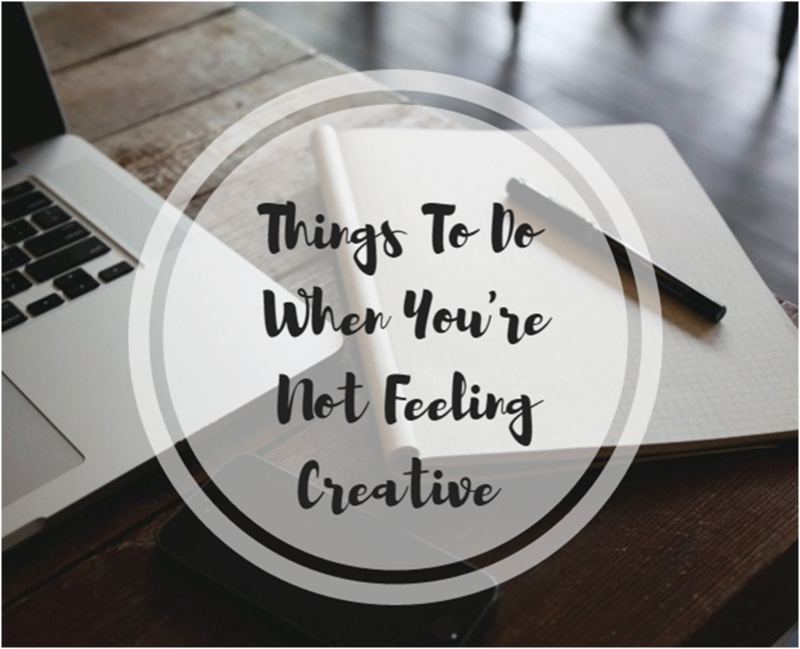 What 'adminy' things do you do when you're not feeling creative? If you enjoyed this post on Samantha Jayne you might also like Bloggers Block and Ways to Get Through It or the Best Blogging Apps.